This cord is our most popular C7 stringer for home use in green. 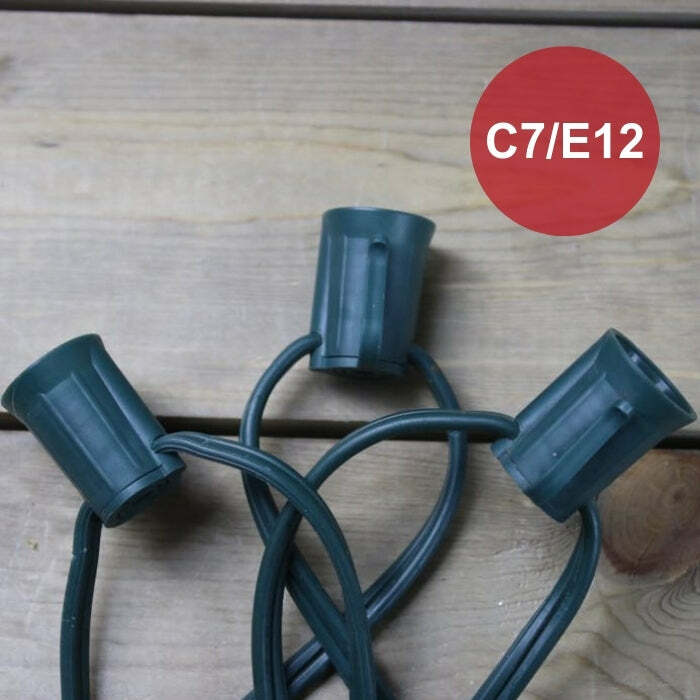 It takes 4 boxes of C7 bulbs to fill this C7 cord. 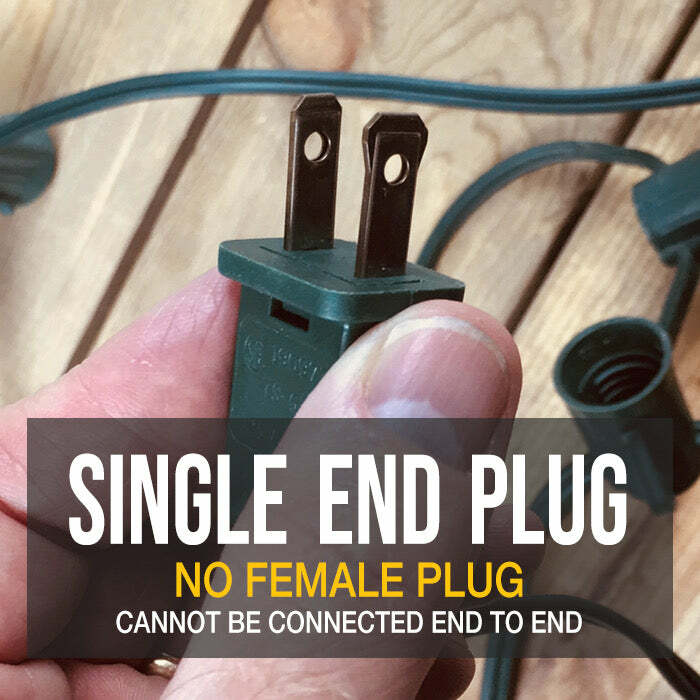 These cords have only one male plug. You cannot run them end to end. Run a maximum of 2 cords per breaker. This cord has 100 sockets that holds C7 Incandescent, C7 LED, and for an interesting look, G30 incandescent bulbs, G50 incandescent bulbs and G40 incandescent bulbs. Q: Hi, does this come in 6" spacing between sockets? A: Sorry, we only have our 100-foot cords with 6-inch spacing in C9 (not the C7) bases. Keep in mind that if you are using incandescent bulbs that you cannot exceed 10 amps and if you are installing LED bulbs, the 18 AWG cord cannot be run further than 250 feet in a single series run. Q: Does this come with sockets already wired in or do they need to be purchased separately? A: The sockets on this stringer wire are pre-installed. You only need to purchase and install the bulbs that are right for your project. Q: It says this cord holds "4 boxes" of C7 bulbs. You sellf boxes of 25 bulbs each. Does that mean this cord holds up to 100 bulbs? A: Yes - this cord has a socket every 12 inches. There are 100 feet and 100 bulb sockets. So 4 boxes of 25 bulbs will fill the cord. Consider adding an extra box of lights for accidents and replacement.